Last updated by Michael Dye at June 13, 2018 . I wrote about Florida restraining orders in general in 2016. 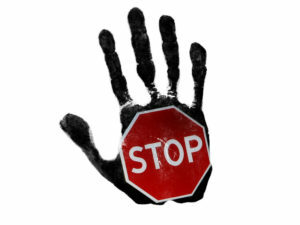 Click on this link to read the prior post: How to get a restraining order in Florida. This article is titled Broward County Restraining Order. 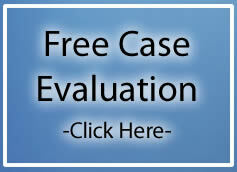 It focuses on the specific steps needed to obtain a restraining order in Broward County. It includes the locations and some general instructions. I would like to initially state that I have and continue to represent both Petitioners and Respondents in restraining order proceedings. I am a criminal defense attorney so I typically defend individuals in restraining order hearings. Any honest attorney will tell you that the majority of injunctions filed are either gross exaggerations or outright fabrications. There are very few things that irritate me more than bogus restraining orders. That is putting it mildly. So, while I am giving instructions on how to proceed in order to obtain an injunction in Broward County, I hope this reaches somebody who really needs it as opposed to somebody who is going to use it as a tactical advantage in a divorce and/or custody proceeding. As previously stated, I last time I wrote about restraining orders was in 2016. An updated Domestic Violence Benchbook was published in 2017. The benchbook is a good place to look for case law updates. It also contains a variety of checklists, flowcharts, and worksheets. You can use those to make sure that your work is thorough and accurate. The procedure for how to get a restraining order is fairly simple. The petitioner goes to the domestic violence intake unit at the courthouse. He or she completes the paperwork provided by the clerk of courts. A judge reviews the petition and the supporting documents. The court is permitted to enter an “ex-parte” temporary restraining order if the petition is legally sufficient. What does this mean? Legally sufficient means, based on the allegations as written, the court finds that there is an immediate and present danger if an injunction is not granted. This means that the court can enter a temporary injunction without notice to the accused. The injunction is granted based only on the allegations contained in the petition. No proof and no hearing are required for the temporary injunction. Broward County Restraining Order | Where do I File? Main courthouse: 201 SE 6th St., Room # 02140, Fort Lauderdale, FL 33301. The hours of operation are Monday to Friday from 8:30 am to 7:00 pm, but all filings must be completed before 5:00 pm. The hours of operation are Monday to Friday from 8:00 am to 4:30 pm, but all filings must be completed by 2:00 pm. The court will always set a hearing if a temporary injunction is granted. Likewise, the court will usually set a hearing if the temporary injunction is denied. The initial hearing is required to be set within 15 days of the initial order granting or denying the ex-parte petition. The final hearings are held in the domestic violence division at the main courthouse in downtown Fort Lauderdale. The final hearing is a trial by judge. The Rules of Evidence apply. Which bring us to the last point. If the restraining order proceeding is important to you, hire an attorney. You are much more likely to obtain a good result. You don’t want to lose your case because you don’t know how to properly enter an item or statement into evidence. By using the website, the user agrees to the following terms and conditions. The use of this website does not create an attorney client relationship. The information included in this website is intended to provide general information and is not to be considered legal advice.